As we now know, the Obama White House is re-examining some first-principle questions about the war in Afghanistan. How connected are al Qaeda and the Taliban? What would be the effect of ceding territory to the Taliban? How effective are drone strikes without a major troop presence to support them. The answers to the questions remain unclear. But beyond the substantive mystery, there's also a process mystery. How did the administration and the military brass come away from their first review with such different interpretations of what had been decided? The White House supposedly got sticker shock when it realized Stanley McChrystal would request 40,000 or more troops. But a number like that shouldn't have been surprising to many participants in the initial review. 1. The Facts Changed. "One word," says Democratic Congresswoman Jane Harman of California "E-L-E-C-T-I-O-N." The Afghan elections were corrupt at best, stolen at worst. Hamid Karzai's popular legitimacy is shot. That's a real problem: A core principle of counterinsurgency holds that you need to be defending a credible government. That's change number one. Change number two is the surprising success in recent months of our stepped-up death-by-drone campaign against al Qaeda operatives in the region. 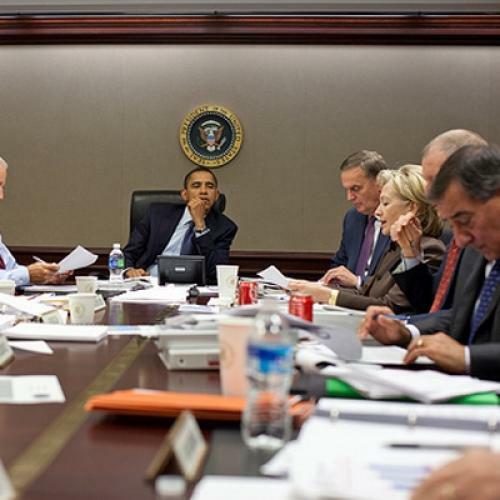 The group's senior leadership has been decimated and bin Laden's henchmen appear weaker than ever. But these developments are only a partial excuse for rethinking the strategy. Even before the election, Afghans knew all too well about the Karzai government's corruption. As for the drone strikes, the issue is not how strong al Qaeda is now, but how strong it will be should the Taliban make major territorial gains. 2.The NSC dropped the ball. "This doesn't happen when you have a national security advisor," one person outside the White House--but steeped in the policy debate--recently said of the civilian-military disconnect. Obama does, of course, have an NSC man in Jim Jones. But people in and out of the administration have knocked Jones's efficacy for months. Some of those complaints may have been overstated--but the fact remains that it's the national security advisor's job to coordinate the government's foreign policy apparatus. To the extent the military and civilians weren't on the same page, Jones has to shoulder at least of some of the blame. Which is especially ironic given that Jones himself, a Marine General, was chosen in part for his ties to the military establishment. 3. Polls and Politics. The re-review of Afghanistan began at a time when Obama's poll numbers were falling, his health care plan was in jeopardy, and the media was teeming with stories about how Afghanistan could damn Obama to a fate like LBJ's, consuming his days and ruining his domestic agenda. Public support for the war itself has also dropped substantially--by late summer, approval for Obama's handling of the conflict had fallen below 50 percent. And while Harry Reid may promise to support whatever Obama decides, Nancy Pelosi and other key Democrats don't seem ready to support a further escalation. Politics may seem like a crass variable to factor into a decision about war strategy. But sources tell me, and others, that Joe Biden is warning against embarking on a major military effort without strong support from the public and the Congress. That's not an unreasonable position--although a president can't let often half-informed public opinion entirely dictate his decisions about national security, of course. Ultimately, the answer probably involves some combination of all three. And, ultimately, the real answer is that this is just a hard question. Obama will have to base his decision on a rough blend of hypotheses and guesstimates -- from whether a future "Talibanistan" would shelter al Qaeda to the threat al Qaeda currently poses to American security to what the different options mean for the stability of Pakistan. In war time is always of the urgency, but nothing is more urgent than making the best decision possible.